When the country’s most venerable paper found itself in President Trump’s crosshairs, new considerations ensued – and instinct kicked in. 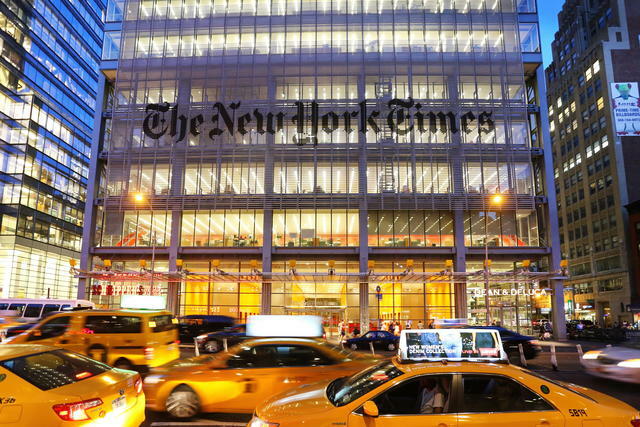 New York Times media columnist Jim Rutenberg offers this exclusive, behind-the-scenes look. In the morning hours of his first Saturday as president-elect, and just days after saying his public posture would change because “It’s different now,’’ Donald J. Trump logged into his Twitter account and posted a message denigrating The New York Times. “Wow,” he wrote. 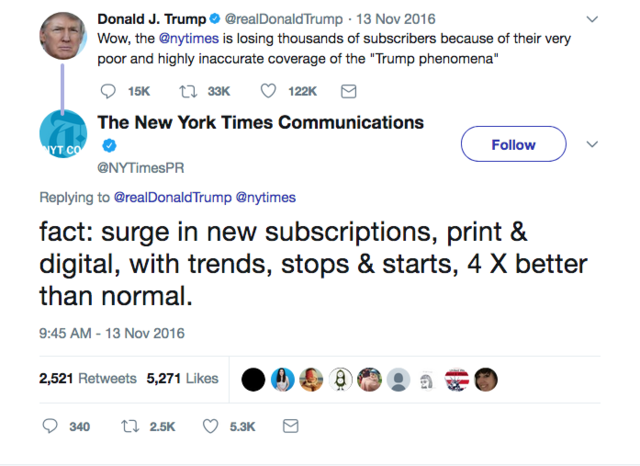 “The @nytimes is losing thousands of subscribers because of their very poor and highly inaccurate coverage of the ‘Trump phenomena.’” In fact, The Times was at the start of what would be the biggest increase in subscriptions in its history. If anything, the “failing” New York Times was failing at failing. That response came only after urgent, high-level discussions between the newspaper’s top editor, Dean Baquet; its publisher, Arthur Sulzberger Jr.; his deputy (and son), Arthur Gregg Sulzberger; and several other executives at the paper. They decided to reply to Trump’s tweet, knowing that doing so might look like a violation of the promise Sulzberger’s grandfather, Adolph Ochs, made when he bought the paper in 1896: “to give the news impartially, without fear or favor, regardless of party, sect, or interests involved.” A public spat with a president was not part of that mandate. Those five words – the facts speak for themselves – continue to be the driving principle of The Times’s coverage in the Trump era, just as they are for its primary competitors. But, as the decision to respond to the president’s pre-inaugural slur showed, The Times’s longstanding credo now comes with an addendum: the facts speak for themselves, sure, but in the Trumpian “fake news” era, they need robust amplification and a swift defensive if they are to survive. With Trump’s tweet, there was more on the line than the paper’s reputation or its stock price. The president was using The Times as an avatar for the news media in general, and, therefore, as a stand-in for the reality-based reporting that, for all its flaws, has provided so much of the factual foundation of America’s political discourse for so long. In comparing notes with bosses and colleagues for this piece, I found that all of us can remember precisely where we were when that first post-election Trump tweet hit. (Okay, mine’s not all that interesting: I was drinking coffee at home in my living room and nearly spit it out when I saw it). His message brought us all to the realization that The Times was going to be in the presidential crosshairs as never before – along with CNN, The Washington Post, and a rotating cast of others, including The Wall Street Journal, NBC, ABC, and CBS (but never Fox News). It was one thing to come under attack from a candidate, but entirely another to come under attack from a president, a person with power to control the flow of executive-branch information and the Justice Department, which oversees leak investigations. In the weeks and months that followed the election, the executive branch’s attacks against mainstream, fact-based reporting increased to levels I’d never seen in my career – and I’ve been at this more than 25 years now. For as cynical lot as there ever was, idealism rushed in. 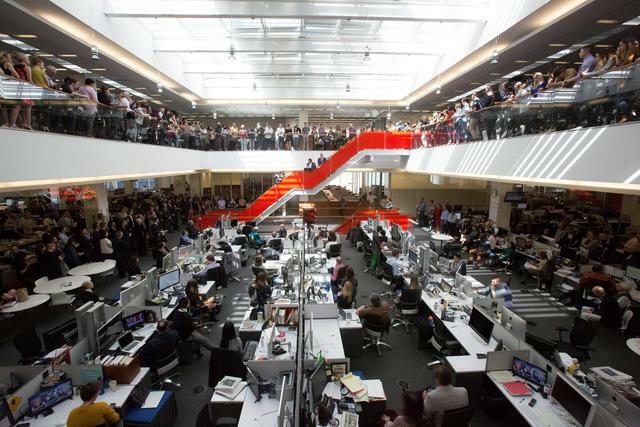 But a funny thing happened inside The Times’s headquarters and in its bureaus throughout the world: an early sense of trepidation was quickly replaced with a new sense of mission. There was palpable excitement over the chance to show traditional journalism’s true worth in the face of an administration that was clearly going to use misdirection, misinformation, and barbs against the press as governing tools. For as cynical lot as there ever was, idealism rushed in. Nobody needed to tell White House correspondent Maggie Haberman to dig aggressively into the hard-to-believe machinations inside the West Wing, just as nobody needed to tell Justice Department correspondent Michael Schmidt to break news on the Russia investigation. Nor did anybody have to ask any of us to switch to what has effectively become a seven-day workweek. The staff simply rallied as reporters are programmed to do during big stories. As Baquet told me during an on-stage interview at the South by Southwest Festival last March, “We’re preparing for the story of a generation.” Baquet also said at the time that Trump’s election had helped remind the press of its role – just as it was starting to doubt its place following the digital upheaval that gave it new competitors online, drained its advertising budgets, and made its leaders scramble (at times, fumble) for new ways to draw audiences. “Suddenly, our mission got really clear – our mission is what it always was, aggressive coverage of government,” he said. While the newsroom reaction was mostly either gallows humor or eye-rolls, every now and then the conversation turned to what was lurking in the backs of all of our minds: somebody’s going to get hurt. Baquet was at South by Southwest largely to help promote The Times’s new television advertising campaign, “Truth is Hard.” The spot first ran during the Oscars telecast – a rare and (at more than $2 million for the placement) expensive move for a paper that has generally approached advertising with a pinched nose and tight wallet. With a stark white backdrop and black lettering flashing competing claims on truth, it ended with the tag line, “The Truth is hard to find. The truth is hard to know. The truth is more important now than ever.” In part, the newspaper felt compelled to address the president’s smears, if not to defend the very concept of a shared version of reality, at a volume equal to that of his Twitter account. But the ad was also devised to goose The Times’s unexpected success in selling new subscriptions. It appeared to have helped, given that the paper hit record increases in paid readership last year (as of the third quarter of 2017, it had 3.5 million subscribers, nearly doubling its digital paid readership from the same period a year earlier). Those new subscriptions have, in fact, been vital in combatting fake news by giving The Times the budgetary cushion it needed to marshal what it and other mainline news organizations have found to be the best defense against “alternative reality”: more reporting. As late as November 2016, we in the newsroom were girding for a large number of buyouts and possible layoffs. But in one of his first big moves of the Trump era, Baquet beefed up his Washington bureau with more investigative reporters. With the White House and its allies ever ready to promote whatever false notions it believes will forward its agenda, and to use any mistake – no matter how small – to cast doubt upon a story’s entire premise, Washington Bureau Chief Elisabeth Bumiller has added two full-time fact checkers to complement her newly enlarged investigative team. One of them, Emily Cochrane, back-reads stories before they are published to catch errors that the writers and their editors may have missed. Unlike magazines, newspapers do not generally employ fact-checkers in this fashion. This represents a significant shift in the editorial process. Several days before we spoke, Trump had held his so-called “Fake News Awards,” a stunt that fizzled as the Republican Party website on which he posted the “winners” crashed. The journalists and organizations the president cited were primarily guilty of making factual errors and then correcting them. 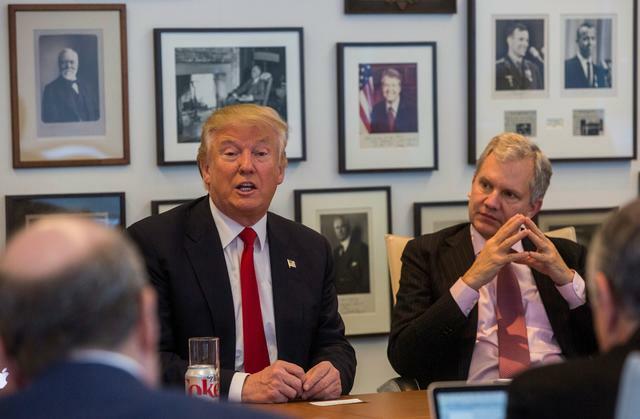 President Trump speaks alongside New York Times Publisher Arthur Sulzberger Jr. at the paper's headquarters in New York, November 22, 2016. Bumiller’s other new hire, Linda Qiu, formerly of PolitiFact, writes articles and online posts picking apart false statements and outright lies gaining traction in the national debate. President Trump’s various falsehoods – more than five a day, according to The Washington Post’s running tally – have demanded much of her time. Qiu’s work at The Times isn’t entirely new, but her position is, and that represents a significant shift for the paper. I was effectively The Times’s main fact-checker in 2004, as the reporter who covered presidential campaign media. It fell to me to verify or debunk claims made by major politicians in television and radio advertisements, the results of which were contained in “ad boxes” that ran alongside the campaign stories of the day. But that was a secondary part of my beat, which was primarily devoted to stories about campaign communications strategies and the news organizations covering them. When the campaign cycle ended, even that minimal fact-checking function would shut down, too. You could argue that the paper should have done it year-round, but there was a question of resources: in the cost-benefit analysis, the need was nowhere near as great as it was for investigative reporting at a time of war. But also, this was before Facebook and Twitter and other platforms provided new ways to push all sorts of false narratives into the center ring of American politics. In those days, we, mainstream reporters, still felt as if we lived in a world in which our fact-checking work, when it did break through, set things right – acting as a radiological beam destroying the cancerous lie before it could metastasize throughout the body politic. The best example came with the Swift Boat Veterans for Truth ad campaign against Senator John Kerry in 2004, the first modern example of “fake news” swaying an election. The effort was based on the polemical book about Mr. Kerry by the conservative conspiracy theorist and best-selling author, Jerome Corsi. As my colleague, Kate Zernike, and I reported in a front-page, 4,000-word investigation that August, claims that John Kerry fabricated the heroics for which he won the Silver Star during the Vietnam War were fabricated themselves, contradicted by Navy records and some of his accusers’ own past statements. Our reporting helped end their campaign, forced the firing of President Bush’s lead campaign attorney (who had secretly worked for the group) and stopped the spread of their lies. Yet, all that said, our reporting took us several weeks to conduct, giving the Swift Boat group’s claims ample time to sink in among core Republican voters and conservative-leaning independents. The growth of the internet has helped make the fact-checking process much faster. What used to take five phone calls or a visit to the library’s microfiche archives to establish as fact now takes a few well-directed keystrokes. But, as we’ve all learned in the last couple of years, lies spread faster than truth does online and fake narratives are far easier and cheaper to produce than true ones. Now they face no barrier to entry in the public square thanks to Facebook, Twitter, Reddit, and 4chan. Had the Swift Boat campaign happened in 2016, our reporting would have had even less effect. The lies about Kerry’s war record would have continued finding an audience on social media, with added, fabricated twists from the Trump-approved InfoWars – where Jerome Corsi serves as Washington bureau chief. And it would have received extra promotion and embellishments from the Russian troll army that so effectively pushes divisive falsehoods throughout social media. Of course, where George W. Bush disavowed the Swift Boat group’s claims, President Trump would have most certainly picked them up with gusto, while labeling as “fake news” the real reporting that debunked them. As the chief spokesman of the movement that cynically seeks to portray real reporting as false, and dedicated, honest journalists as biased fabulists, Mr. Trump has advanced its cause in ways its once-fringy leaders could have only dreamed about. That’s where, at The Times, some of the more important, if more subtle, work is taking place. A whole lot of Americans find plausibility in the president’s claims that reporters for The Times or The Washington Post or, for that matter, The Wall Street Journal, simply make stuff up from their desks and then call it an early night. The Times’s own research has shown that when some readers see a dateline on an article – Kabul or Baghdad, Moscow or Mumbai – they do not know that it means the reporter did his or her reporting from there. The paper concluded that it needed to do more to convey that, for instance, when The Times presented information about the Benghazi attack of 2012, it was doing so with on-the-ground reporting from journalists who put themselves in harm’s way– whereas the hosts of Fox & Friends were relying on political talking points delivered to their desks. Baquet now takes on that disparity directly. As he said in an interview with Christiane Amanpour on CNN recently, “Anybody who watches only Fox & Friends is not getting an honorable news report.” But he and the rest of The Times’s leadership also concluded that the newspaper, and the industry at large, had not done enough to show that person why he or she should instead go with an alternative. “One thing we’ve started to do is be more transparent. We’re going to let people know who our reporters are; we’re going to let them know where they are; we’re going to let people know what it takes to get a story,” he said. It’s why, for instance, when The Times came under social media attack for profiling an “alt-right” white supremacist in terms that some readers thought were too sympathetic, it published a first-person article by the national editor who approved the piece, Marc Lacey, to explain the reporting process and editorial reasoning. It’s why The Times has written online features about how Haberman, the White House correspondent, approaches her job. And it’s why the paper is starting to introduce more biographical information about its reporters in their online profiles. The general lack of understanding about how real reporting works and what motivates it – the truth, not some partisan agenda – is precisely what the anti-press crowd is trying to exploit. That has been clear in the recent work of anti-journalism provocateur James O’Keefe. He recently sent undercover operatives from his group, Project Veritas, into mainstream newsrooms to capture journalists in compromising moments. The result, he hoped, would give him an opportunity to smear their integrity and throw all mainstream reporting into doubt. His approach betrayed either his own ignorance or his deep cynicism. In one instance, one of his workers went to a bar with a hidden camera and sought to entrap The Washington Post’s Adam Entous, whose reporting led to the president’s ousting his first national security advisor, Michael Flynn. The operative, posing as a Trump-hater, tried and tried to get Entous to admit to some kind of vendetta: “How do we get the president?” the operative asked. “I have no idea,” Entous replied, adding, “and, frankly, there may not be anything that gets the president.” O’Keefe sought to portray that as some sort of confession – chief Russia-investigation reporter admits it may not lead to anything regarding the president! – when it was actually an example of a responsible reporter sticking to the facts he knew and not getting ahead of them. In another stunt, Veritas sent a young woman to The Washington Post with a yarn that Alabama’s Republican candidate for Senate, Roy Moore, had impregnated her when she was 15 – and when he was a county court judge – and then talked her into getting an abortion. Veritas’s goal was clearly to trick the paper into printing a false article that would destroy the credibility of all of its Moore reporting. The attempt failed miserably: The Post did basic journalism by looking into the background of the accuser and learning, easily, that she was a conservative activist who had declared her hostility toward the “liberal MSM” online. Better still, The Post turned cameras on her and produced its own story about Veritas’s failed sting. O’Keefe’s underhanded approach helped produce one of the best advertisements I’ve ever seen for the care real journalists take in establishing the truth. Indeed, those misfires and others like it have had the opposite of their intended effect; they bolstered the press. A lot of the evidence is anecdotal, in the form of increased subscriptions and in the success of the Spielberg movie, The Post, about the publication of the Pentagon Papers in the face of the Nixon administration’s attempts to shut down that reporting. 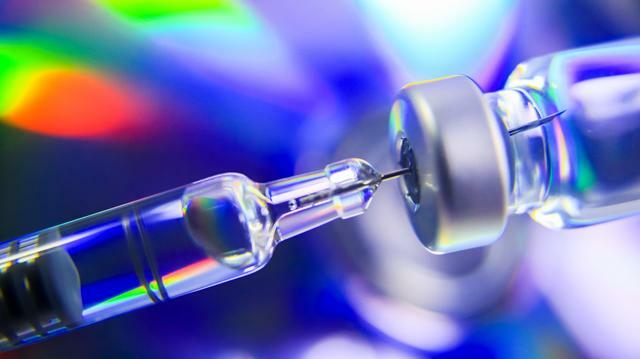 There is some statistical evidence of unintended consequences as well. 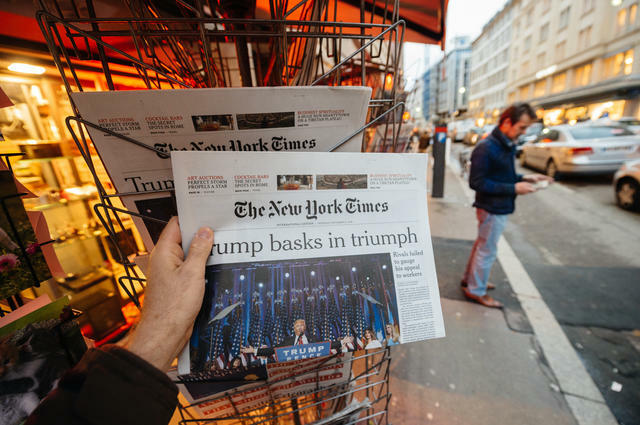 A Reuters/Ipsos poll in the fall showed that confidence in the press among Americans rose from 39 percent to 48 percent in roughly a year. That number’s not exactly overwhelming, and should not provide cause for complacency about journalism’s standing, and, therefore, about the state of fact-based debate in this country. The president and his anti-press allies continue to rely on conspiracy theories and half-truths to a startling degree as they seek to undermine an investigation into Russia’s efforts to help his campaign and, more importantly, meddle in our domestic politics. And he continues to regularly apply his “fake news” label to true reporting. That’s one of the reasons why Baquet has instituted a new policy ordering his news reporters not to post partisan political sentiment on Twitter or Facebook – a measure that some critics said would only lead to less transparency by hiding true leanings, but which Baquet deemed necessary to avoid appearances that would undercut the paper’s reporting. After all, the primary duty of straight-news journalists is to sublimate their own inherent biases to their mission of ferreting out truth and going wherever the reporting leads. It’s also why Arthur Gregg Sulzberger, in taking the reins of The Times, reemphasized his forebear’s commitment to pursuing the news “without fear or favor.” He followed that up with the decision to dedicate the entire editorial page to letters from Trump supporters. It wasn’t popular with the editorial page’s mostly liberal readership, but the paper saw it as a necessary experiment as it tries to reach a crowd that has been on the receiving end of a wrong-headed campaign to paint the paper as its political enemy. Many members of that crowd live in informational silos. Three of the four platforms that provide those silos – Google, Facebook, and Twitter – are promising to fix their algorithms so that more people see more diverse takes on the news. I remain skeptical. As long as the platforms’ business models are built around giving people precisely what they want when they want it, they will be unlikely to change in any truly significant way. The fourth platform – Fox News – is not making any promises to change and certainly won’t. You have to think that, at some point, the preponderance of evidence that the press had it right – and seeks to get it right despite the occasional mistake – will become too convincing for the press-skeptics to ignore. Time and time again, real reporting has put the lie to the lies. Take, for instance, The Times’s recent scoop that Trump had ordered the firing of Robert Mueller, the special counsel overseeing the Russia investigation, only to be stymied by his own lawyer. The White House had written off earlier reports that the president was thinking about the move, but this time, with deep reporting by Michael Schmidt and Maggie Haberman, none on Trump’s staff echoed the president’s own “fake news” denial. You have to think that, at some point, the preponderance of evidence that the press had it right – and seeks to get it right despite the occasional mistake – will become too convincing for the press-skeptics to ignore. Some, of course, will cling to their belief – or disbelief – beyond all evidence. That’s a problem that neither The Times, nor the press in general, can solve. Jim Rutenberg (@jimrutenberg) is the media columnist for The New York Times and a writer-at-large for The New York Times Magazine. He has served the paper as a chief presidential campaign correspondent, a White House reporter, an investigative reporter, and a City Hall bureau chief.